In January 2010 I joined a Goodlife Health Gym on the Gold Coast and was issued with 3 free personal training sessions. I met Karlene and enjoyed her company so much I became a client immediately after my sessions were up. Within the year I lost 12kg and have now kept it off for 6 months. During my sessions, my body and my mind were being trained. Not only did I see the physical changes (losing weight and the gaining of muscle) but also saw a change in my diet and attitude towards being active. Karlene is excellent at being a “food mentor” and encouraging you to honour your body with good food rather than processed foods. At times I failed to reach my personal food journey but instead of being met with judgement, Karlene got alongside me and helped encourage me for the following week with food diary check-ups and asking how my cardio classes were going. In terms of her training method I found this enjoyable but hard at times. Instead of training just arms or just legs, in a session we would be using the whole body to achieve our overall goals. I found it hard at times not because of her training methods or because I didn’t enjoy them, but Karlene pushes you to achieve your goals and this comes with hard work. I achieved amazing results due to her methods and not taking too many rest periods. 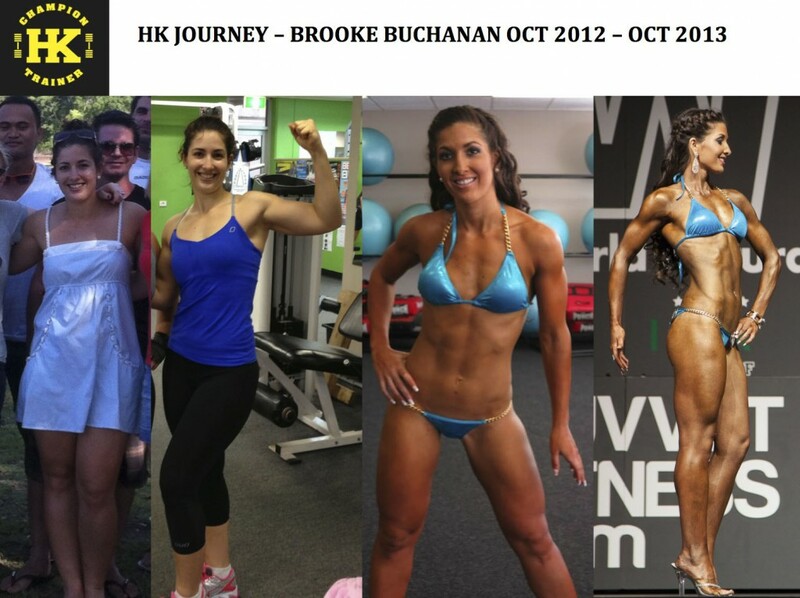 I started training with H&K trainers in May 2013 when my partner Ben moved to Darwin for work. I have always been an active person who enjoyed playing many team sports. Whilst I had previously been to the gym and loved doing “cardio”, I never saw consistent results or the changes to my body that I wanted. Firstly in response to our morning tea on Tuesday morning I would like to thank you very much for allowing me to be part of it. It has been a long time since I have had such an enjoyable interlude like that. Let me explain to you what I got out of the Weight session after the morning tea. There is no doubt that over the last 6 months without your input into my life I would not be here today and if by chance I was I would not be in a very good state as I have been down this path many time before and have always gone further down into the black hole I have dug for myself with the lifestyle I have chosen. During this session I stood beside a young man who showed so much persistence and dedication that it astounded me. As I was struggling with my weights Hector, using 50 or 60 kgs more than me, focused and although I could see the pain all through your body, you made the last 4 or 5 reps seem as if they were easier than the first 5. March 2012 I was lucky enough to find an amazing sports doctor in Perth who after completing multipule test, made me release I needed to make some serious changes or by the age of forty I would most likely be in a wheel chair. My bone density was shockingly low, my iron was incredibly low and I was a skinny fat person. So after all my life of training hard (cardio) it was all actually not doing me any good, I’ve been burning my muscle I’d tried building, all the alcohol I’d been drinking was eating away at all my hard work and the starving myself was actually destroying my metabolism. So the doctor put me onto his personal trainer who wrote up a weight program. Once I got back home to Darwin I trained weights, and the only cardio I did was spin (love a good spin class) I changed my diet slightly and tried to slow down on drinking. My name is Tanya Mace. I am 41 years of age. I am a Northern Territory Police Officer. I have been exercising regularly since the death of my youngest son in 1996. I loved running especially and lifting the heaviest weights I could. When I started I weighed a whopping 75kg which is not so great when you only stand 5’2”. Busy with work and family I learnt to love the classes Les Mills provided, especially PUMP, Step and RPM. I did this for many years. At first my development, weight loss and confidence was phenomenal although my body eventually adjusted and I began to plateau. I had lost 20kg and was ecstatic. I had always dreamed of commencing body building training. I was too short to jump, too slow to run and too muscular to do ballet!!!! I wanted to be a body building champion. 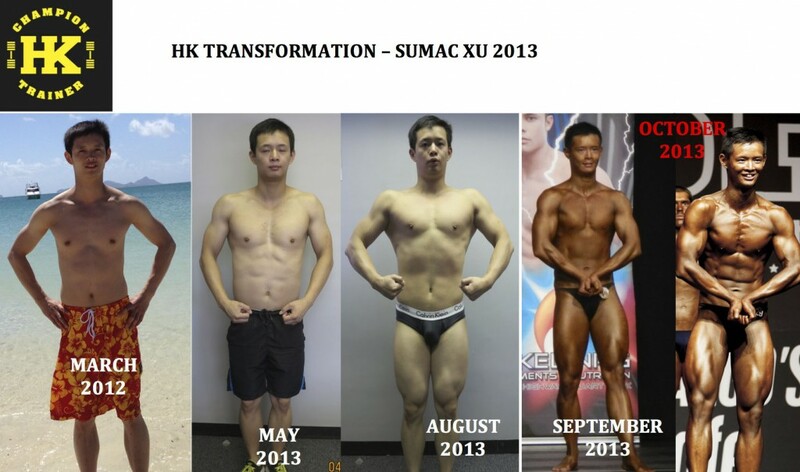 I started bodybuilding at age of 16, I saw great result very quickly as I progress and keep working out. I had on and off for couple years and i really got serious with it the last 2 years and half. That’s around the time I finished my uni and I had more time to spend on gym. I started to train with H&K before my first show. I know I had the potential to do a show but I wanted to be at my best when I get to the stage. I saw quick results when I started with them and now I’m planning to achieve my best while training with the best. Colm has always loved his training. He has trained for the most part of his life. But now at 34 he unfortunately came to the point where he was continuously going full steam ahead into a brick wall. He needed help and who better to help him than the biggest beef cake in the gym!! He wanted to grow and with the experience and knowledge that come with Hector and Karlene, Colm knew he was in good hands. Throughout his journey with HnK he has found himself in a tight-nit family who are always ready to help in and out of the gym . He has without a doubt made many life long friendships. Like everyone in the HnK team, Colms goal is to be nuber one! He will continue to push and strive to be better and better. We all do! That is why we are all champions! Manuel has always been a fan of pumping iron, but he didn’t know about training or proper diet. Nothing was productive for him at the gym until one day he met Hector and Karlene. They seemed like good coaches and very dedicated people so he asked himself why not train with them? With much training and dedication from his diet the results were surprising. Every day was a new dream come true for Manuel… his body started to show changes and he could finally say he was becoming a muscle machine. For Manuel the training was the easy part of all this…the hardest part was to be consistently eating a clean diet in order to achieve his dreams. But as Manuel proved, we can all do it, the power is within us. Manuel felt motivated to achieve something that not many people at his age would try. He didn’t think it was possible to transform his body but was able to achieve this with the help of all of his friends from training. Having a good support network of people around him has motivated Manuel to follow his dreams. He has a great group of friends who have helped him to fight and succeed…thanks to all the people in the H&K Team.